Preparing and maintaining your garden is an essential but laborious task. Tillers and Scarifiers are the perfect partners to making this difficult work a lot easier. Fitted with powerful motors you'll be working quickly, comfortably, safely and efficiently. Scarifiers are the starting point, for a healthy looking lawn. Drilling holes in the ground for greater oxygen and water circulation into the root below. Tillers are what you need to prepare your ground. Used for breaking up and mixing the earth before seeds are sown. Scarifiers & Tillers There are 7 products. This is the perfect partner to help you keep your lawn in pristine condition all year round with this 2 in 1 Lawn Scarifier and Rake. It Features two different cassette reels that can be interchanged in just minutes. 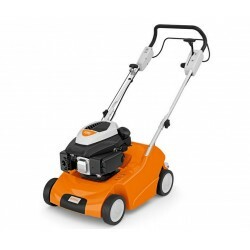 The STIHL RL 540 is a brand new petrol scarifier with a 38cm working width ideal for lawns up to 2000m2 thanks to its powerful Kohler engine. 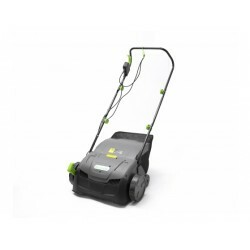 The LB 540 petrol-powered scarifier removes matted grass and aerates the soil, to give your lawn the ability to breath for a green luscious look.